The award-winning casual game creators at Eipix Entertainment bring us the next chapter of the epic Asatru series, Saga of the Nine Worlds. 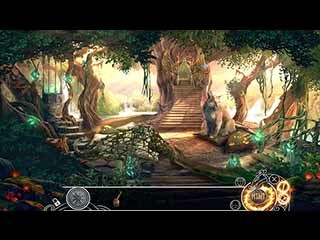 If you like Norse mythology, then this just might be the right Hidden Object Puzzle Adventure game for you. Can you bring them back before it’s too late? This game has charming graphics and music with a masculine feel that is hard to find in this genre of gaming. The style combines mystically meticulous detailed scenery with a minimalistic cartoon to bring forth a truly unique thing. There are four mystical stags that keep the World Tree in balance and they have gone missing in a paranormal twist of fate, which sucked them out of the field and into some kind of parallel universe. Can you bring them back before it’s too late? Saga of the Nine Worlds: The Four Stags Collector's Edition takes you on an adventure to recover the four stags that keep balance in the world of the Vikings. You will be traveling through some sacred portals to get to a land of puzzles and mystery to recover what was lost at the hands of some truly villainous creatures. 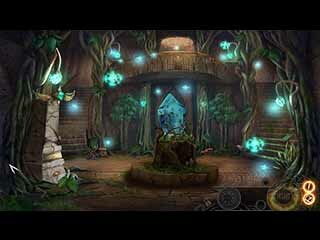 You will find yourself digging through Norse Viking treasure as you hunt for hidden objects amongst all the goodies. Moss covered doorways and ancient rivets bring a sense of thrill that will never get old. Definitely something worth downloading for your desktop to enjoy long after you beat the game (assuming, that is, that the game doesn’t beat you!). Get in on some extra fun with the Collector’s Edition. There is a bonus chapter in which you will stand up to an uprising of elves – truly something of Tolkeinian magnitude – and you will be able to replay all of the chapters (including the bonus) and puzzles and minigames. There are some achievements you can unlock along the way and collectibles to pick up and display. There is even an unlockable souvenir room where you can get in on some more epic storyline. There is a hint button available, should the hidden object puzzles become too difficult, but the difficulty is adjustable to meet your customized fun desires. Then there is an integrated strategy guide to get you out of any pickles along the way. This is Saga of the Nine Worlds: The Four Stags review. .